What is Amateur Radio ?. Things you can to do with amateur radio. A very beginner's guide to coax cables. Characteristics, detailed comparison of typical coaxial cables, commonly used connectors, and a few words about SWR. Info about many aspects of Radio & Communications. Antennas, signals, frequencies, codes, swr, scanning etc. Provides complete information about how to get a technician-level ham radio license. Thierry LOMBRY, ON4SKY, develops in three long articles all you need to know about amplification, and how to seletc an HF and a solid-state amplifier, with pictures. An ARRL guide to where on the HF bands various modes and activities are generally found. Article on PSK modes. PSK for Beginners Has RTTY's Replacement Arrived? A beginner's guide to RTTY contests - A pdf file with review of RTTY contests software available on the net and information on how to operate a RTTY Contest, by RSGB. Antenna Selection Made Easy - This page will help you answer important questions about antenna selection before you talk to a supplier. After reading this paper, you should be able to better determine the most important parameters you need to know for your antenna selection criteria. Definition of frequency bands - Definition of radio frequency bands, hf vhf uhf etc. 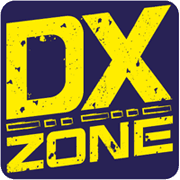 DX-ers guide to instantaneous fame - This web page is part of a self-help program for licensed amateur radio operators and radio pirates. Getting Started on RTTY - A complete guide to start using MMTTY to start trasmitting in RTTY. This is a basic but complete RTTY guide for those who want to quickly start RTTY communications. Guide to D-star, DMR, Fusion - An introduction to digital modes DMR Fusion and D-Star. This excellent article will guide you to learn differences between these digital modes by evaluating costs, ease of use and programaming, extendability and more characteristics. Ham Radio Beginner - Our goal is to provide helpful and useful information to Ham Radio Beginners so you can get started as soon as you want to enjoy the amateur radio hobby. 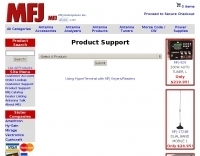 Ham radio for the novice - A site exclusively meant for the novice. Find all the information necessary to become an amateur radio operator! More India specific information. How Far Can I Talk With My Radio? - In order to determine total distance that a transmission may be received by two elevated antennas, we must add together the radio horizon distance of both antennas. How To Get An Amateur Radio License - Provides complete information about how to get a technician-level ham radio license. How to select an amplifier - Thierry LOMBRY, ON4SKY, develops in three long articles all you need to know about amplification, and how to seletc an HF and a solid-state amplifier, with pictures. How to Use Amateur Radio Repeaters - This article will help the New Ham to be more at home on repeaters and understand the operation and procedures on Ham Radio Repeaters. Idiot's guide to coaxial cable - A very beginner's guide to coax cables. Characteristics, detailed comparison of typical coaxial cables, commonly used connectors, and a few words about SWR. Make an HF station work more effectively - How do we make an HF station work more effectively? Antennas are the key! Operating Practice - ON4WW - A must read guide for all new and old operators. This document was originally written with the prime focus on DXing and pileup behavior. Suggestions by proofreaders have been implemented; the document is not as narrowly focused anymore as originally intended. It contains hints, tips and tricks for newcomers as well as old-timers. Additionally there are VHF/UHF operational matters, DX Cluster ethics, COPS, Conflict Situations and more. Parlez Vous QSO ?! - Simply QSO phrases in European Languages, produced with the assistance of radio amateurs and linguists from Europe and beyond. PSK for Beginners - Article on PSK modes. PSK for Beginners Has RTTY's Replacement Arrived? Radio & Communications - Info about many aspects of Radio & Communications. Antennas, signals, frequencies, codes, swr, scanning etc. RARS Repeater Operating Guide - What is a repeater? How do you use repeaters. A great guide to use amateur radio repeaters incuding repeater frequencies, operating procedures and practices. Split Operations - When and How - When do you need to go to a split operation ? When the people you are giving reports to are not answering, or when you are not getting your report from the station you are working because of other stations who are continuously calling. SSTV Fast guide - Get on SSTV FAST with this quick tip quide. All the info you need to get started quickly. What is DX - Some people say the "D" in DX stands for Distance, and the "X" stands for the unknown, meaning hearing unidentified stations until identified. Read more on meanings of DX in Ham Radio slang. Which bands to use - An excellent introduction to ham radio bands, which bands to use and when. Search only in "Beginner's guide to ham radio"